The CREWS Project’s second conference has been announced. This one’s my baby and focuses on something I’ve wanted to get people together to talk about for some time now – writing systems in context. There’s been a long tradition in studying writing systems to treat them as something rather abstract and self-contained. People have focused on linguistic and palaeographical questions, and there’s often not been as much attention paid to how they sit within society and culture. In this conference I’m hoping we’ll be able to bring together academics with very diverse backgrounds and expertise to think about things like the archaeology of writing systems, their cultural histories, their social significance. 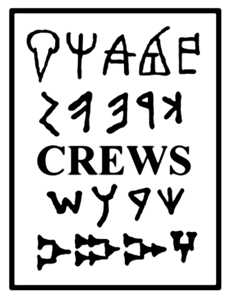 If that sounds like something you’d be interested in, please check out the full details on the CREWS Project blog.